• The clock showed the 2nd minute and a second. 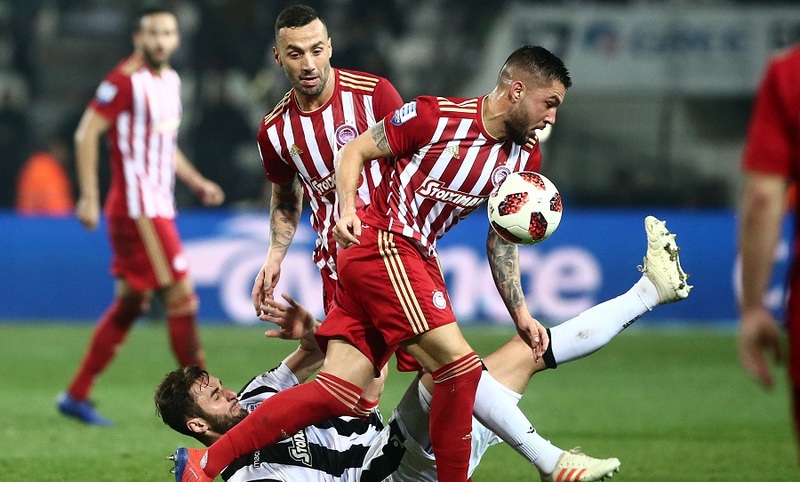 PAOK has just started his attack by the defense and Nova's reporter on the Olympiacos bank takes the floor and teleports Martine's command to Olympiacos players: "He asks them to stay high and push. " • You see the video camera – six Olympiacos players are at half of the PAOK stadium !!! Not only Podehenes, Guerrero, Lazarus, not only Fortune, but also Nathu and Koutris! I repeat, second minute … What is PAOK doing? The simplest. To prevent pressure, Varela fills in Ackom, in the middle of the field. Ackom takes the head, since the other went from Gigherm and did not go over – and I do not know if Vukovic had to go there and Gigher was free to mark Bisesar, but rather we are looking for fleas in straw. • From the head of Ackom Bisesvar takes the ball, all alone, after Natha started returning. Bessarvar & # 39; s pass in Vienna, which was all alone on the left, because Ponteveda did not turn to mark his player, but sat and watched him from a distance of 30 meters !!! • The evil was completed after Natha, who, with Torosides, hastened to block the Vierinia shoot, instead of resolutely going on stage and making a kick on the shot, as Toros did, just put his foot on . The ball found it above, got up and hung it (yesterday some DN Olympiakos) Sa, but in my opinion it also has a responsibility in the goal, and proves once more that it has problems in the long term (and in its goals in the Karaiskaki had found the ball, but he did not save it and then, while out of the field, he scored a goal from both the channels and the Sinai). • Martine's inspiration to play so high from the start turned out to be unfortunate. Such an airship on the axis of Olympiacos, I can hardly remember another race. Let's just think that the two cutters from PAOK, Mauritsio and Sakhov had a great chance at just 1 & # 39; (! ), And the bar at 28 ℃! In both cases they proved horrific, since Gjerme and especially Nahoto were "elsewhere" – in the fir-tree phase Vukovic went even worse, I think looser, and Nahoto to his goal. • Well, the other boss, the most aggressive, Bessarbe, was always alone while playing Olympiacos! From his legs started the 1-0 phase, but the 2-0 lead, which he closed, as well as on the head of Ackom, and Vukovic and Gjermer "slept" and watched instead of continuing Bisesvar. • What should I say now? PAOK players came in for the irons and Olympiacos players to "play their balls". So you do not get a championship. In the first 10 minutes Olympiacos won five corners and searched around the Paschalakis area. E, they also have no head (!) To threaten the house of PAOK. • Looking for individual performance? With Cesère twice in the second half to take a quad with Sa Apop? With Koutris to be a "backpacker" with Zambas and to release him to make centers, despite his constant recommendations? With Fortuny the ball lost one after the other? Did he live where he needed, in the 13 & # 39 ;, to make the difference that Krespos would get his identity? Lazar, who in another derby, is not …? Guerrero, who did not even turn the ball back, and from that PAOK made a stage and the third goal? • Yes, there was a setback in the 1-0 phase, but when you play as Olympiacos played yesterday, it is unacceptable to call it. When you have the wrong blow in this game and the mentality deficit of the winner (and you end the match with error 13 and opponent 25! ), All the other minor importance. • The only thing you have to do as a team is to hug your head humbly and go to the next game as it should and not like "three speak and two dance".